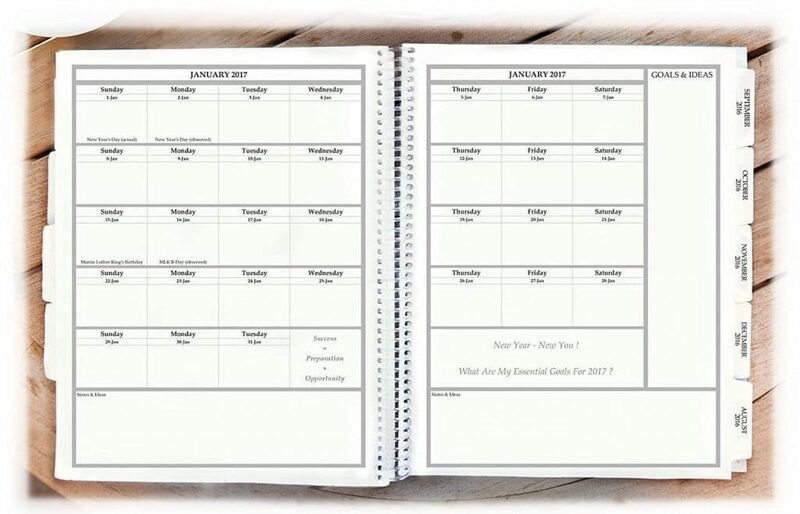 There are a lot of calendar options out there, but I’ve put together a list of the best personal planners for those of you know want more than a place to track dates and times. I know it’s a tall claim that a small notebook can improve your life, but it really can! You just need the write planner for you and you need to use it. Like many moms, I am often juggling so many responsibilities that there are some days when I feel like my brain is going to explode from trying to keep track of everything I’m supposed to do and remember. I started to let a few things slip through the cracks because my days were flying by so fast and my to-do list was expanding exponentially. Frustrated with myself and fearful of disappointing friends and family who count on me, I knew I had to figure out a system to get my act together. Like diet and exercise, I KNOW the things that work for me when it comes to being organized, but periodically I slip away from good habits. So, I knew I needed to return to making a daily to-do list and having a single, unified calendar to consolidate all of my obligations and upcoming events. I also knew that I needed to write down my goals and track them so that I could constantly assess my progress and make any necessary changes to help me reach them. Did you know that writing down your goals significantly increases the likelihood you will achieve them? I realized that if I could find a planner that contained all of these elements, I could get my life back in order and be more productive. 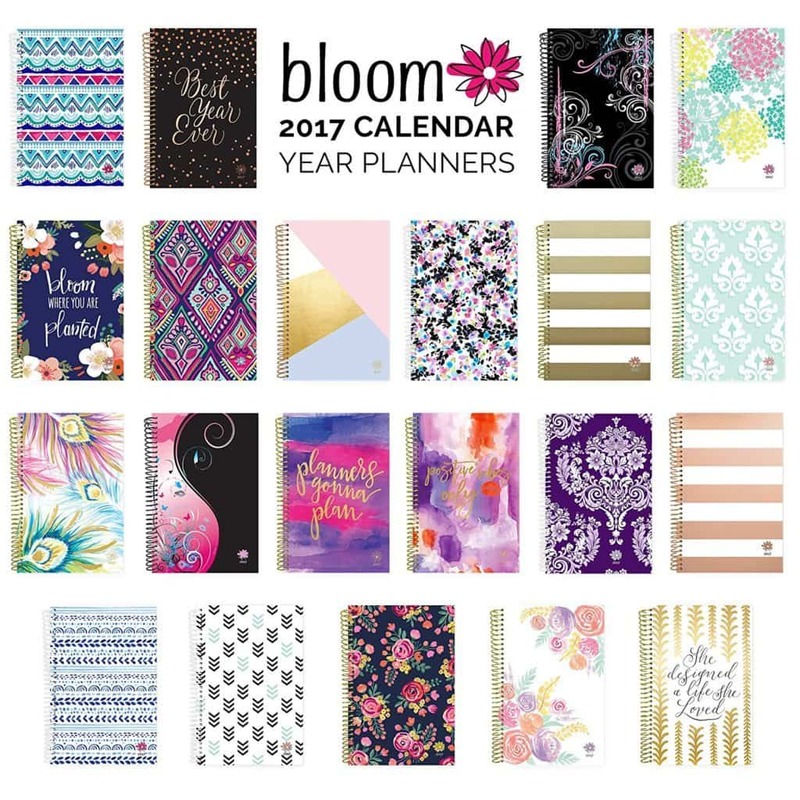 So, I went on a hunt for a planner and came across several that fit the bill. 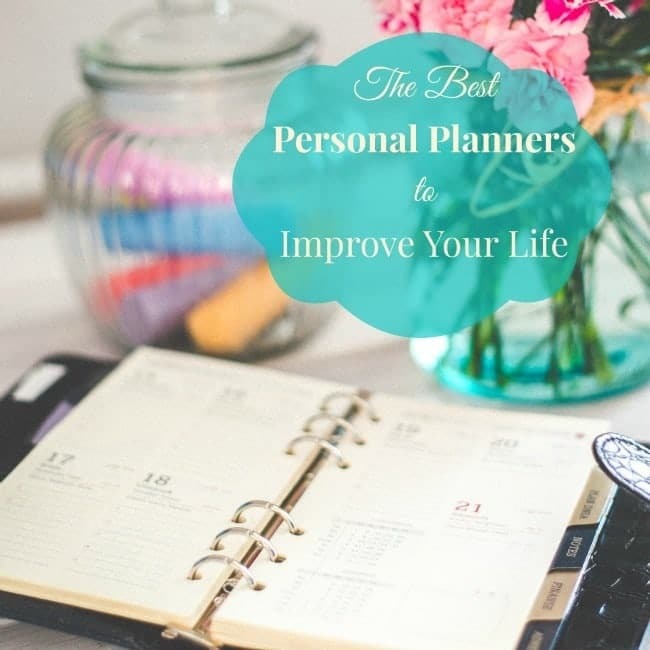 That’s how I came up with this collection of the best personal planners to improve your life. We all like to work a little differently and we have our own ideas about what’s pleasing to our eyes. That’s why there are so many options below. I’m certain you’ll find one in the list that fits your preferences. 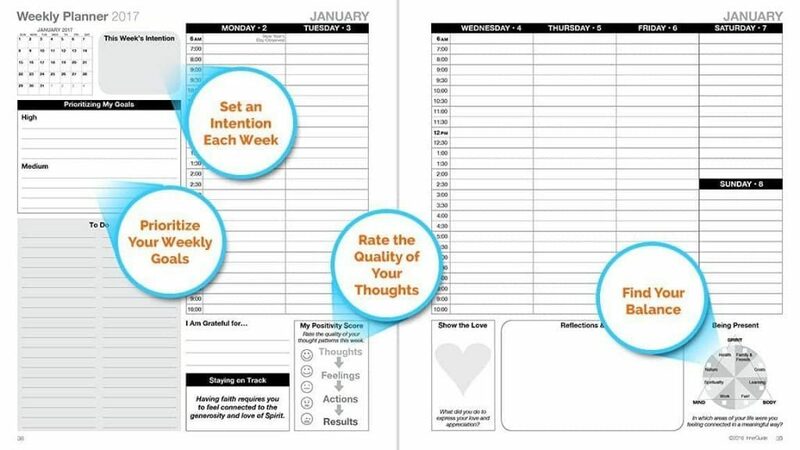 The Law of Attraction planner is ideal for individuals who really want to rely on it every day to stay organized. Think of it as a planner/life coach/journal. This is a great choice for anyone who wants to develop positive habits for a better life. Also, at 5 x 8″, it fits easily in your purse so you can take it with you everywhere. 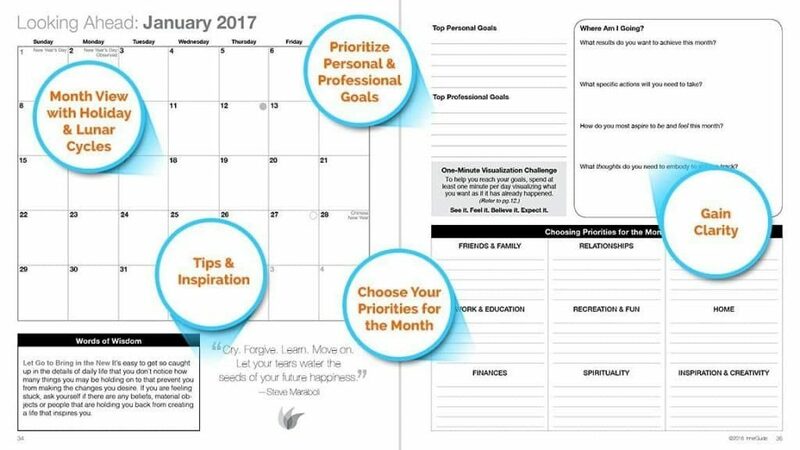 The Freedom Daily Planner is a no-frills, straightforward planner with small doses of motivation and positive advice. It measures 7 x 10″ providing you with lots of writing space and slightly better portability than the full-sized planners. 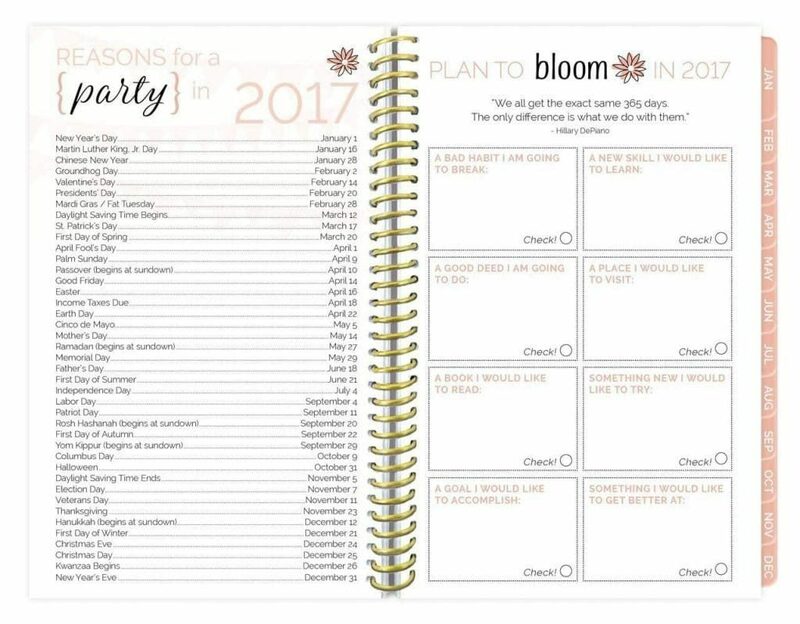 The Bloom Daily Planner has the others beat when it comes to aesthetic design. All 19 cover designs are eye-catching and the pages within the planner are just as pretty. 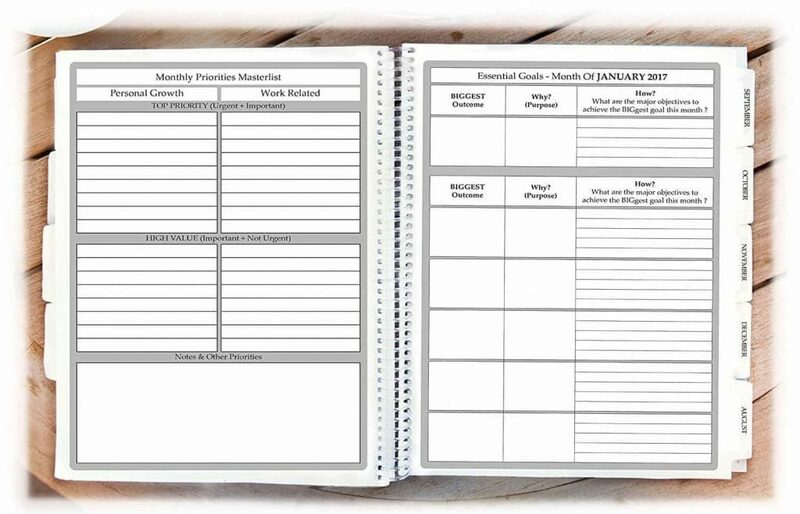 This planner has the basics covered – monthly and weekly planning pages, along with a notes section and things to do pages – but has limited goal setting planning space. It measures 6 x 8.25″ so is slightly larger than the other portable planners, giving you a little more writing space without making it too bulky to fit in your purse. 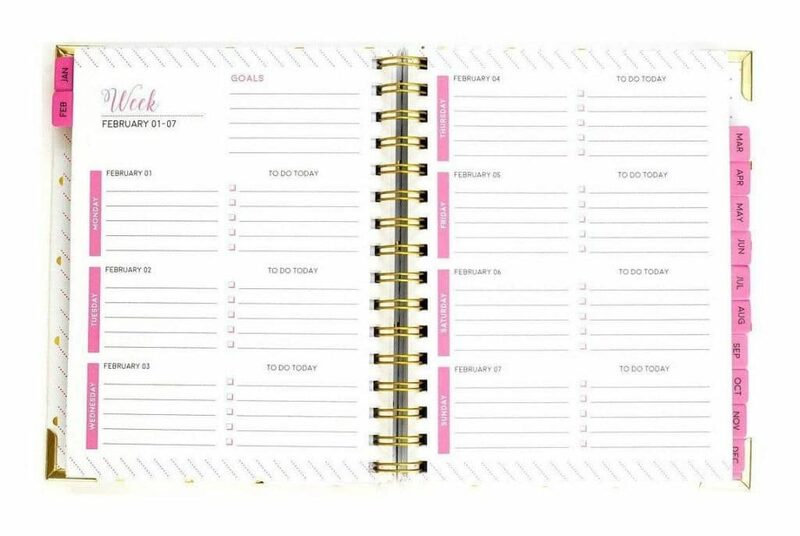 This is perfect for the busy woman who needs to keep track of a busy schedule but doesn’t want to do daily or weekly goal tracking. The Inner Guide is a wonderfully comprehensive planner for those who want to stay on track towards their goals. It even has separate areas for different categories of goals (e.g. relationships, health, home, finances). 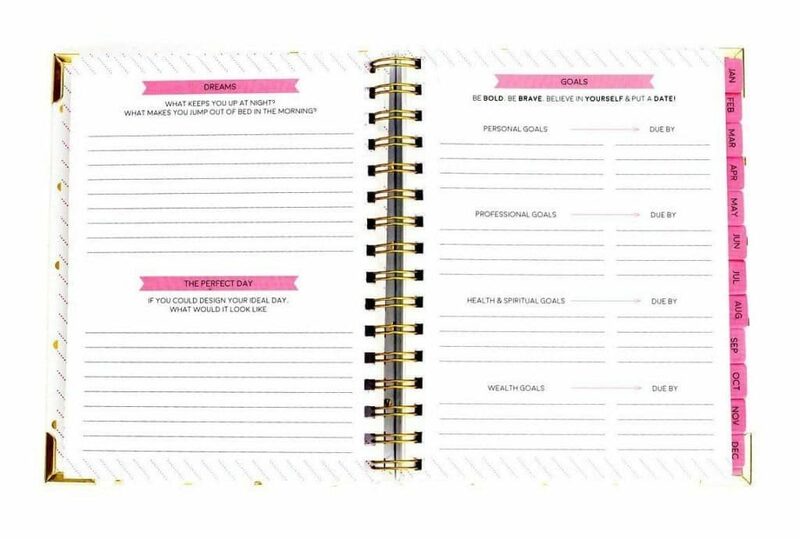 This is the ideal planner for individuals who are devoted to setting and meeting their goals. It measures 8 x 9″. 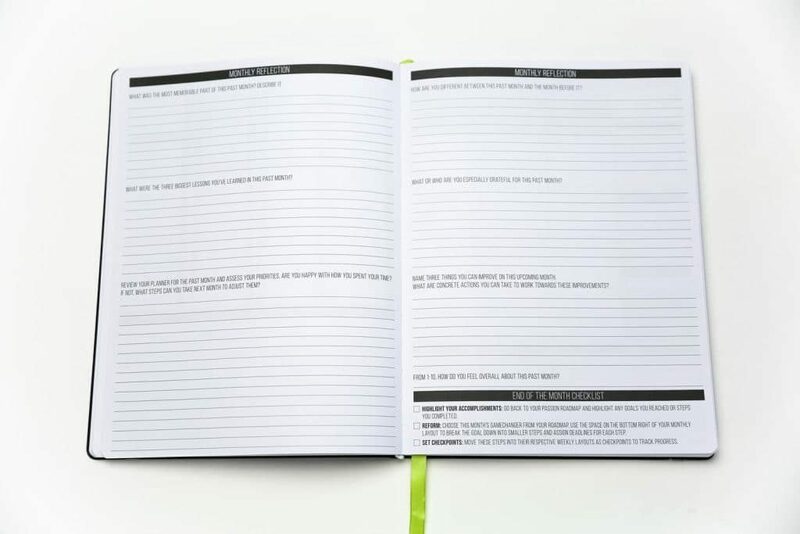 The Action Day Results Planner is designed to make sure you get things done. 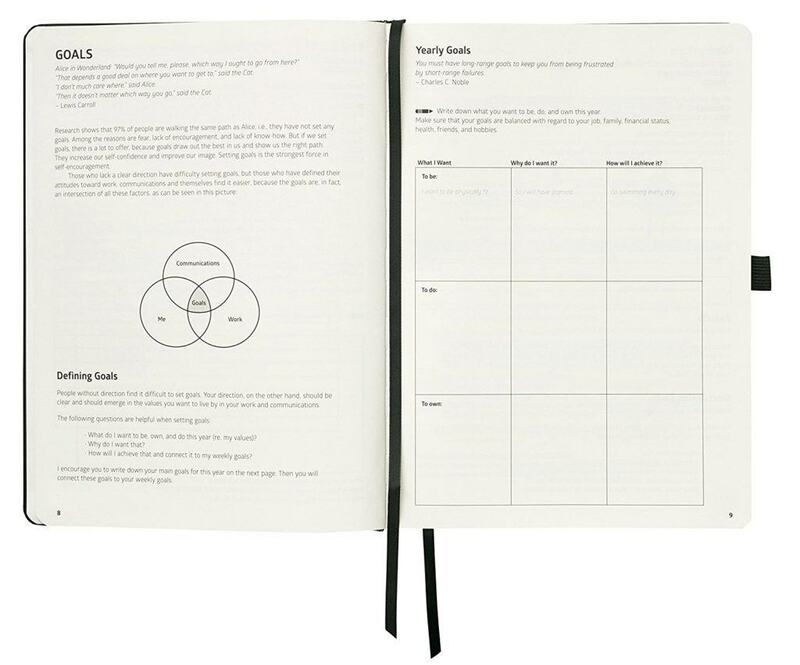 The goal setting section is thorough and the task pages leave plenty of room to track multiple projects. This is a great choice for anyone who wears several hats and has to keep track of several different projects (e.g. PTO fundraiser, birthday party, book club, and 5k race). It comes in both an 8 1/2 x 11″ version and an 8 x 6″ version that is compact enough to bring with you on errands. And it comes with an elastic pen loop so you don’t have to fish around in the bottom of your purse when you want to make a note. Aside from the punny name, the Goal Digger is a beautiful planner/journal. 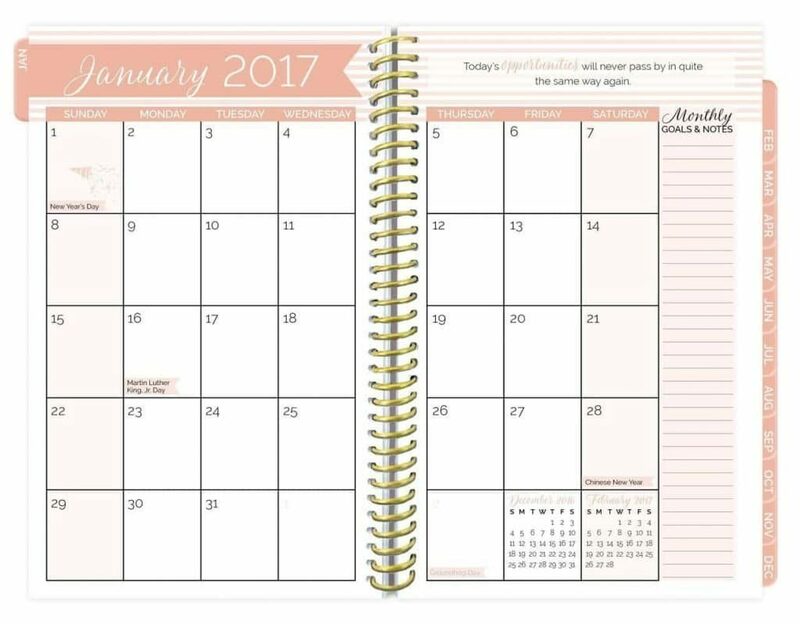 It has plenty of goal planning pages in addition to monthly and weekly calendars and comes in three different stylish designs. At 6.5 x 8.25″ it’s portable and still spacious. It’s slightly pricier than the other planners listed here due to the tabbed dividers, binding, and design. 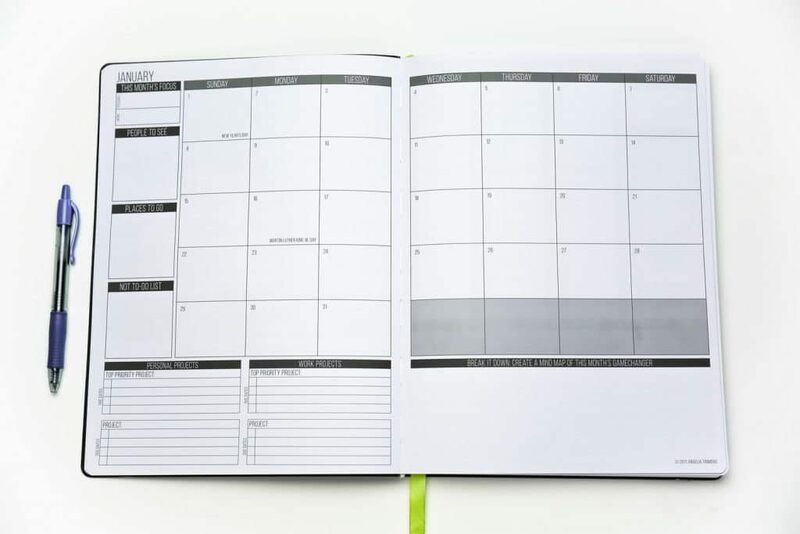 The Panda Planner is one of the few planners that offers you a monthly, weekly AND daily view. With plenty of space to set priorities, evaluate progress, and plan for the future, this compact planner packs an amazing amount of information into 5 x 8.2″! It’s also available in an 8.5 x 11″ version for those of us who prefer a larger planner (thanks to Sarah for letting me know in the comments!). It comes with a bunch of bonuses to help you be more productive too. The company even offers a money back guarantee that you will love it. This is my personal favorite since it has everything I want (and now comes in the size I prefer). 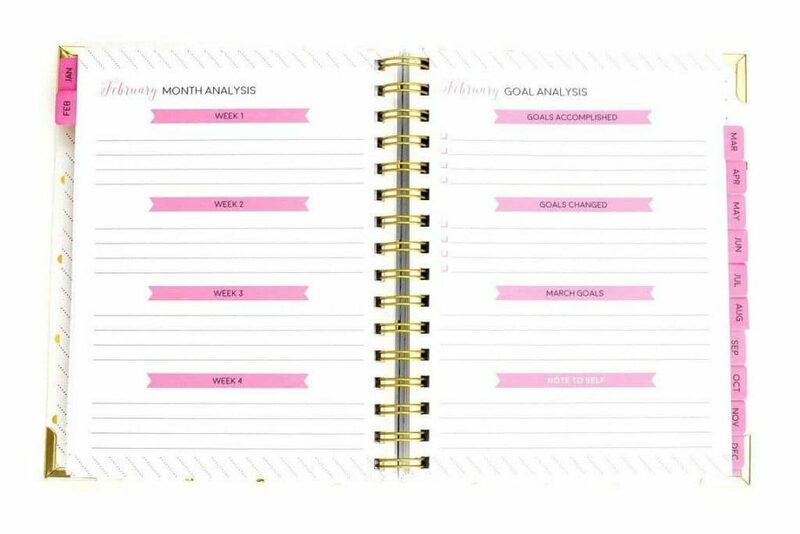 This planner has a place for you to track your goals every month and to prioritize your tasks for both work and personal growth. It’s one of my favorites for goal setting and tracking because of all the space it dedicates to goals within it. There’s still plenty of room for tracking important dates and events on the monthly view and the weekly planning pages. 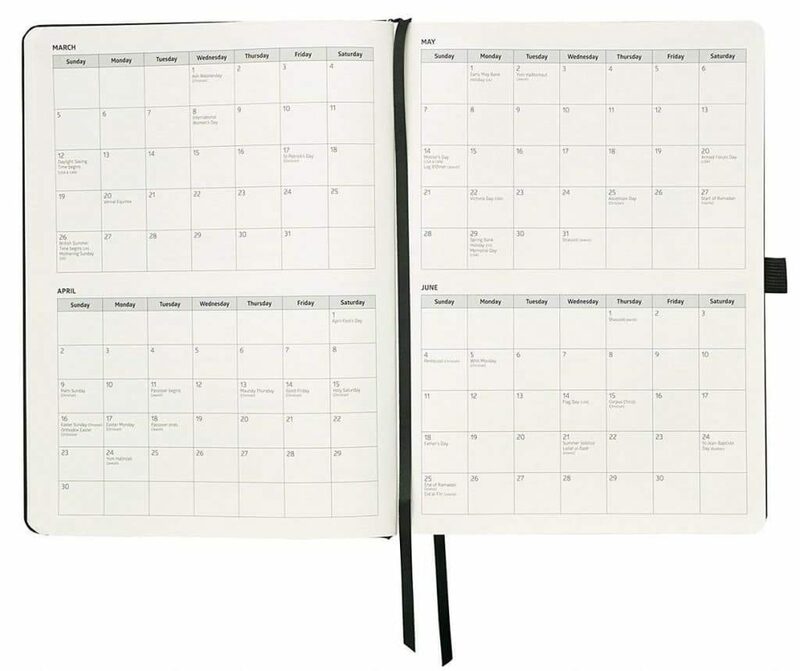 At 8 1/2 x 11 inches, it is large enough for you to fit in all of your important ideas and plans. Best of all, you have over a dozen cover choices so you can easily find one that fits your personality and taste. The Passion Planner is another great choice. On each weekly two-page spread, you have space to enter a focus for the week and keep track of good things that happened. You’ll also find an inspiring quote and tip for making progress. Each day is broken down into half-hour time slots (starting at 6 am and ending at 10:30 pm), with a space for you to enter a daily focus point at the top. At the bottom of the weekly calendar are spaces for your personal to-do list, work to-do list, and notes (labelled “Space of Infinite Possiblity”). 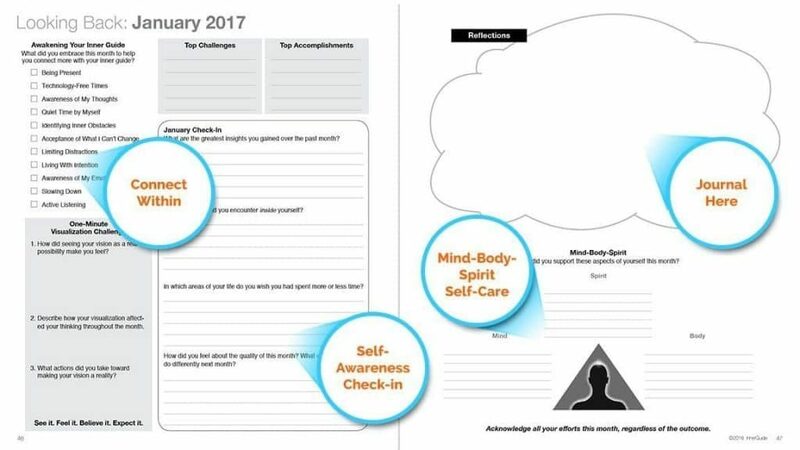 In addition, there are prompts for monthly reflections that help you assess what you accomplished, your priorities, and how you’ve grown. There’s also space and tips for designing your personal road map and passion plan, plus lots of extra pages for notes and doodles. I’m personally a big fan of the graph paper pages! Although I tried all of the planners listed above, ultimately, I decided I wanted to pick and choose features from all of them to make my own. I created printables to keep track of everything in my life and then put them all in a Happy Planner. The bright colors make me happy so I genuinely enjoy opening my planner each day. Plus, it’s a fun way to let the little sticker-obsessed girl in me out to play. You just need the kit, the paper punch, and your favorite printable sheets to get started. 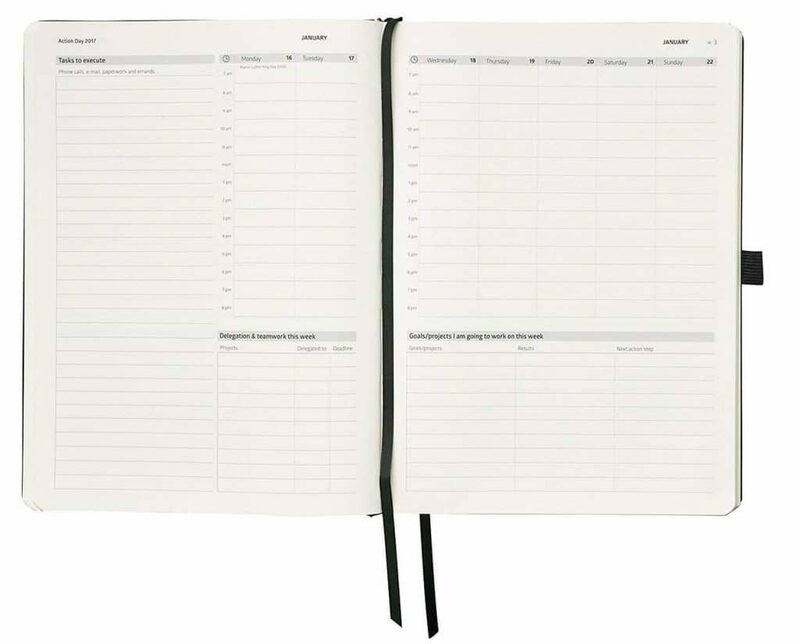 The best part is, you can add or remove pages whenever you want so your planner is completely customized to you. I’m lazing around with a sprained ankle dreaming about planners. I am in my 2nd year with a Passion Planner. I like it very much but it’s designed for people who are very new in their professional lives I think, and sometimes the cheery quotes grate on me. 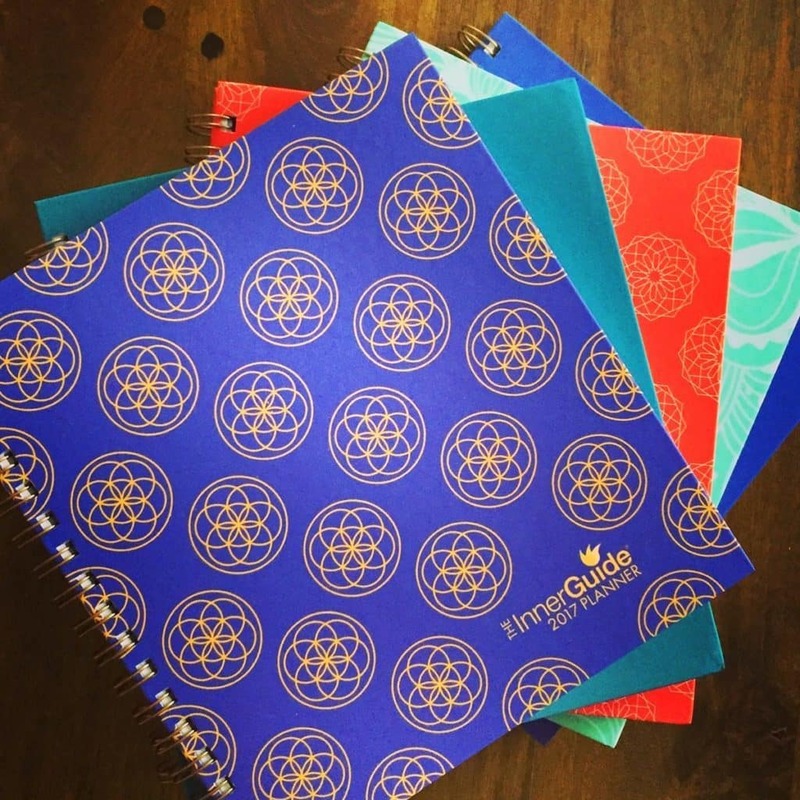 The Inner Guide and Panda Planner are on my short list to check out. Thanks for this! I’d love it if you checked out the BestSelf planner and added it on here to compare. Thanks! If you’re just trying to get into the habit of using a planner, I’d start with the Passion Planner. The panda planner might be overwhelming. Definitely go with the compact version too. You’ll be more likely to use it if it’s easy to tote with you. I JUST switched to the larger version because I am finally in the habit of using it all the time so I write down EVERYTHING and need the space. thanks so much for the timely insight!!! No problem. 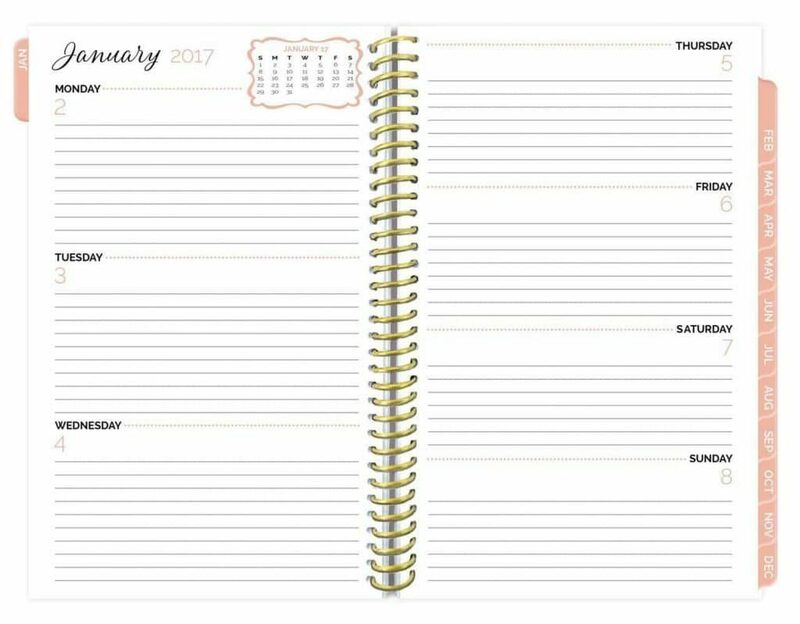 If you end up getting a planner, come back and let me know how it worked out for you. Using one consistently has literally transformed my life, but it was a long learning process! so great to know!!!! inspiring! i sure will:) on second thought, if i think i am going to need to WRITE A LOT would I consider the larger passion? thx again. You won’t end up writing a lot if you don’t have it with you when you need to write stuff down. At first, I would use it to remember important dates, appointments, and tasks. It was helpful to have the small one I could throw in my purse since I had it with me at the PTA meeting, at the dentist, etc. If you’re on the go a lot I really think the smaller version is the way to go, but if you carry around a large tote and won’t mind bringing a full sized planner with you everywhere, then maybe that will work for you. You should take a look at (and review) the Passion Planner (www.passionplanner.com). 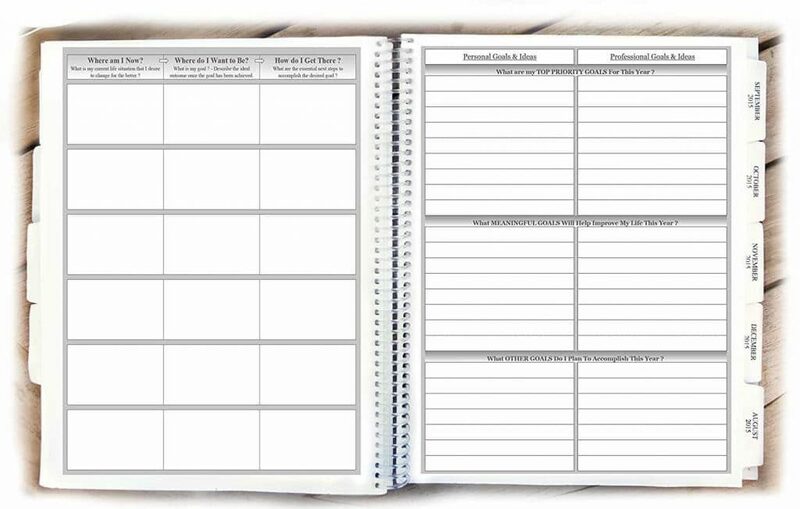 It has similarities to several of the planners you reviewed (Panda, Inner Guide), but is distinguished by mind mapping goals and desires, and gives lots of blank space (on each page and in the back) for doodling, notes, etc. 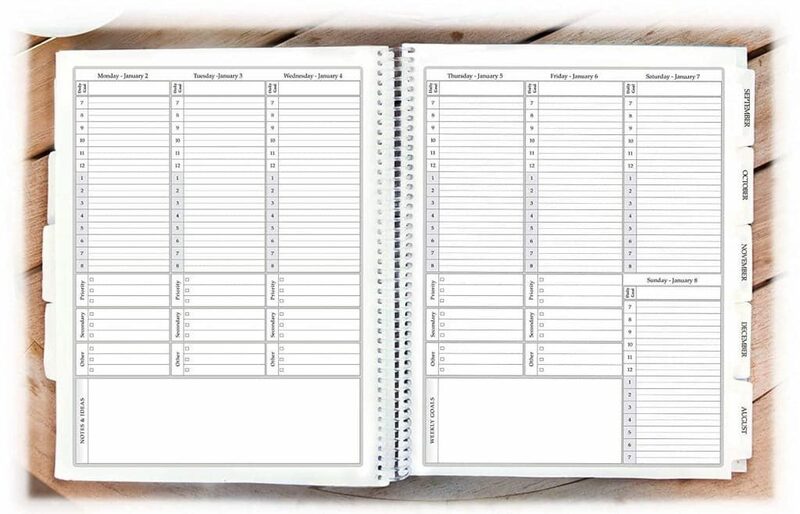 It also has printable pdfs that you can insert into the planner for finances, workouts, etc. I forgot to mention that your planner reviews are the most thoughtful and complete that I have found. You have everything on here I looked at (sans the Passion Planner). Great work! In the end, the choice is subjective, of course, but your guidance helps. Most importantly, one must simply try a planner and *use it*. Thanks for the compliment Spiro. And yes, no matter what planner someone chooses, the real magic is in actually putting it to use! Hi Spiro, the Passion Planner is amazing! I’m updating the post to include it. Thanks! The Panda Planner is AH-MAY-ZING! 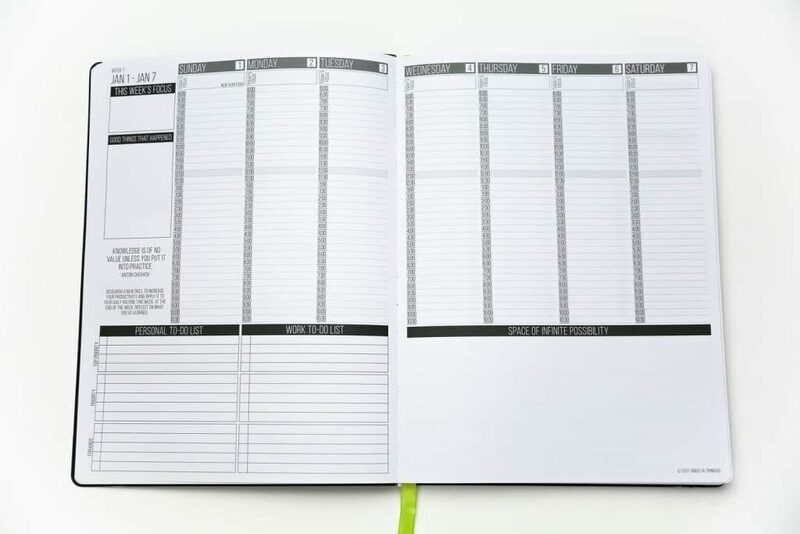 I have the smaller daily one, but I just ordered the bigger one to use at work, which has the daily planning on a 2 page spread for the entire week (fits my work process better and has more space for me to track my billing hours). I am definitely going to need one of these planners to start 2016 off. I am obsessed with planners and journals! This page has some really fun personal planners that I’ll definitely have to consider when purchasing one for 2016.